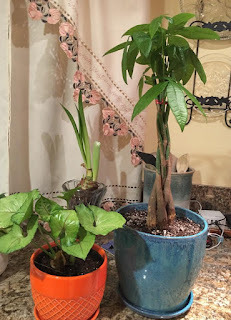 Every spring I get the urge to buy new pots - the old ones will never do - and plant new things. All the while knowing that whatever comes home with me will be dead before summer. I'm cursed with the blackest of thumbs. But at least Leanne and I had fun playing in the dirt.